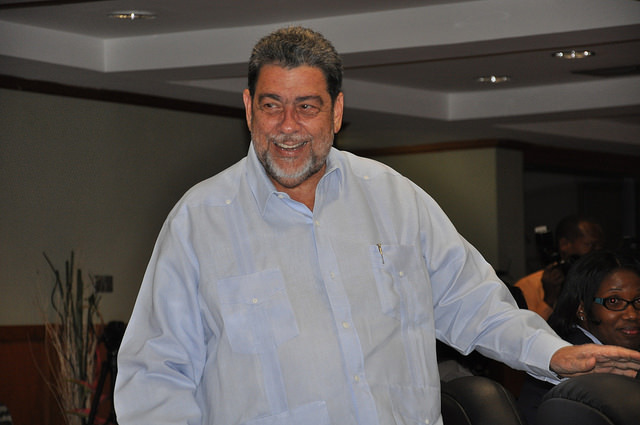 KINGSTOWN, St. Vincent, Sep 22 2014 (IPS) - When it comes to climate change, Prime Minister Ralph Gonsalves doesn’t mince words: he will tell you that it is a matter of life and death for Small Island Developing States (SIDS). “The threat is not abstract, it is not very distant, it is immediate and it is real. And if this matter is the premier existential issue which faces us it means that we have to take it more seriously and put it at the centre stage of all our developmental efforts,” Gonsalves told IPS. “The country which I have the honour to lead is a disaster-prone country. We need to adapt, strengthen our resilience, to mitigate, we need to reduce risks to human and natural assets resulting from climate change. “This is an issue however, which we alone cannot address. The world is a small place and we contribute very little to global warming but yet we are in the frontlines of continuing disasters,” Gonsalves added. Since 2001, St. Vincent and the Grenadines has had 14 major weather events, five of which have occurred since 2010. These five weather events have caused loss and damage amounting to more than 600 million dollars, or just about a third of the country’s Gross Domestic Product (GDP). “Three rain-related events, and in the case of Hurricane Tomas, wind, occurred in 2010; in April 2011 there were landslides and flooding of almost biblical proportions in the northeast of our country; and in December we had on Christmas Eve, a calamitous event,” Gonsalves said. “My Christmas Eve flood was 17.5 percent of GDP and I don’t have the base out of which I can climb easily. More than 10,000 people were directly affected, that is to say more than one tenth of our population. “In the first half of 2010 and the first half of this year we had drought. Tomas caused loss and damage amounting to 150 million dollars; the April floods of 2011 caused damage and loss amounting to 100 million dollars; and the Christmas Eve weather event caused loss and damage amounting to just over 330 million. If you add those up you get 580 million, you throw in 20 million for the drought and you see a number 600 million dollars and climbing,” Gonsalves said. Over the past several years, and in particular since the 2009 summit of the U.N. Framework Convention on Climate Change in Copenhagen, the United States and other large countries have made a commitment to help small island states deal with the adverse impacts of climate change, and pledged millions of dollars to support adaptation and disaster risk-reduction efforts. On a recent visit to several Pacific islands, Secretary of State John Kerry reiterated the importance of deepening partnerships with small island nations and others to meet the immediate threats and long-term development challenges posed by climate change. He stressed that through cooperative behaviour and fostering regional integration, the U.S. could help create sustainable economic growth, power a clean energy revolution, and empower people to deal with the negative impacts of climate change. But Gonsalves noted that despite the generosity of the United States, there is a scarcity of funds for mitigation and adaptation promised by the global community, “not only the developed world but also other major emitters, China and India, for example,” adding that these promises were made to SIDS and to less developed countries. Twelve people lost their lives in the Christmas Eve floods. Jock Conly, mission director of USAID/Eastern and Southern Caribbean, told IPS that through strategic partnerships with regional, national, and local government entities, USAID is actively working to reduce the region’s vulnerability and increase its resilience to the impacts of climate change. “We are providing assistance to increase the capacity of technical and educational institutions in fields such as meteorology, hydrology, and coastal and marine science to improve forecasting and preparation for climate risks,” he said. “This support includes work with the Centre for Resource Management and Environmental Studies at the Cave Hill Campus of the University of the West Indies, and current partnerships with organisations like the World Meteorological Organisation and its affiliate, the Caribbean Institute of Meteorology and Hydrology, the government of Barbados, and the OECS Commission. Conly said the centre will improve climate and weather data collection regionally to fill critical information, monitoring and forecasting gaps allowing the region to better understand and predict climate impacts. 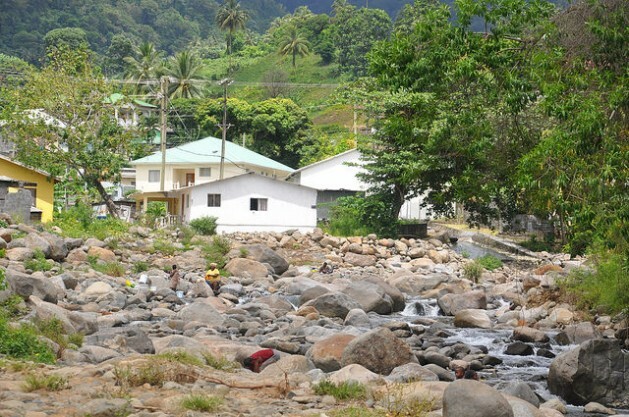 At the same time, USAID is pursuing efforts under the OECS Commission’s programme to educate communities and local stakeholders about climate change impacts and the steps that can be taken to adapt to these impacts. “A key feature of this programme is the development of demonstration models addressing different aspects of the adaptation process. This includes the restoration of mangroves, coral reefs, and other coastal habitats, shoreline protection projects, and water conservation initiatives,” Conly said. Opposition legislator Arnhim Eustace is concerned that people still “do not attach a lot of importance” to climate change. “People are more concerned with the day-to-day issues, their bread and butter, and I am glad that more and more attention is being paid to that issue at this this present time to let our people have a better understanding of what this really means and how it can impact them,” he told IPS. Eustace, who is the leader of the opposition New Democratic Party, said people must first be made able to meet their basic needs to that they can open their minds to serious issues like climate change. “The whole environment in your country at a particular point in time makes persons conducive or less conducive to deal with issues like climate change and so on,” Eustace added.